My house is close to Irene and rageaholic Tim’s. ‘Bout six feet. That’s their back yard from my bed. The bed where Abbie Lynn likes to sleep during the day. 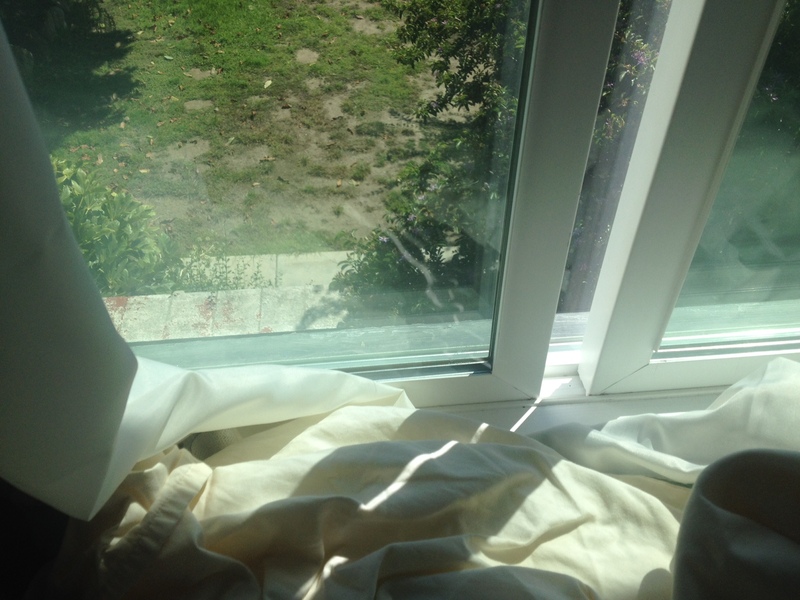 It turns out Irene was watering the yard RIGHT below the window. She whipped around, thinking that I was some kind of freak, addressing her. I ducked down, which, come to think of it, probably just made it worse in her mind. Catcalling her and then hiding when she turned around. Nice, Suebob. Real nice. I’m a 50-something menopausal woman who catcalls – or should I say dogcalls? – my poor innocent neighbor who just wants to water her lawn in peace. Then this morning, toward the end of a very long, very sweaty walk, some guys catcalled ME. I know they were making fun of this short-legged, duck-footed, chunky, sweaty lady in mom jeans with her fat dog. “Fox!” they yelled, zooming by in a white Jetta. I had to laugh. Fox! Fox? What is this, 1978? 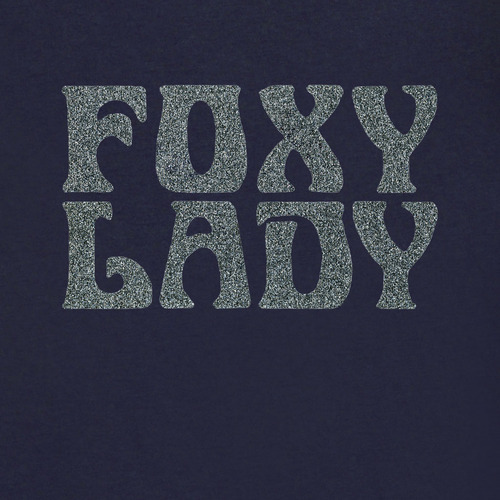 Young whippersnappers don’t realize that in 1978, I WAS a Foxy Mama, and I probably had the t-shirt to prove it. With puffy lettering. Mm hmm.